I confess, I am about as creative as a door knob. A very, very boring door knob. I scour pinterest shamelessly for ideas, because I am utterly incapable of coming up with all the cute, creative, and tasty things that are on there. Pinterest has been my muse. When I found out/realized (yesterday) that tomorrow is our sons last day of school with this particular set of teachers (he is in preschool), I wanted to do something nice for them, since I can't even fathom what they must go through teaching a bunch of two year old toddlers for a year. I immediately turned to pinterest for ideas. Sadly, nothing feasible jumped out at me. So then I took to Facebook. 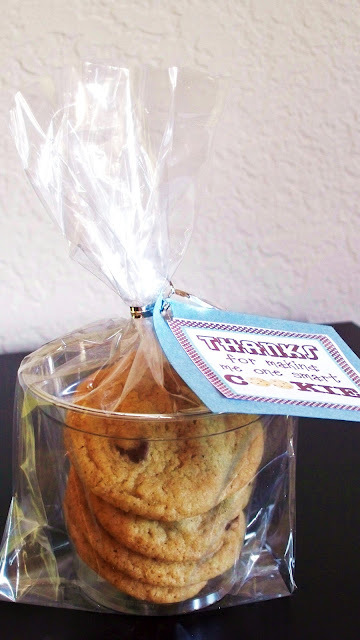 My wonderful cousin suggested a cute cup idea that is filled with a gift card and some goodies, and a great friend, as well as my sister, offered up the suggestion to bake something. I love to bake, and any excuse to bake is fine with me. I just couldn't figure out what to bake. Given this dilemma, I ended up doing a little bit of everything. For his teacher and the teacher's aids in his class that he has had all year and all summer, I did the cup idea. I had seen some version of this on pinterest, so I kind of mashed all the ideas together. I got some insulated cups at Walmart, along with a Target gift card (from Target of course), and some Hershey's Hugs (white chocolate and chocolate kisses, together in one). On the label, in my abysmal hand writing, I wrote "Thank you for being the Target of my Hugs and quenching my thirst for knowledge." OK, OK. I know. Lame. Cheesy. SO uncreative. Well, the internet was failing me on cute quotes that used the word Target, Hugs, Thank You, and Thirst. So, this is what they get. To finish it off, I wrapped it in some great all purpose bags that get used for everything from storing my bread and goodies I bake, to my husbands 1st edition signed books. Like I said, they are all purpose. I tied some yellow ribbon around it that I had leftover from my son's birthday party (check out the party here) and attached a note card I printed out from the printables set I got for his party, which I glued on some construction paper and wrote my lame saying. Hopefully the saying holds true that it is the thought that counts. My son really loves his teachers, as well as all the staff at his school, and we think they are great too. 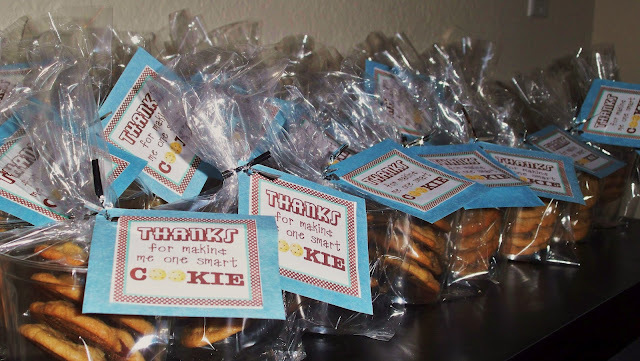 Speaking of the staff at his school...they all kind of work together to teach and watch the kids, and my son is so fond of everyone there that I decided to make them end of the year thank you gifts as well. Here is where the baking comes in. I decided to play it safe since I was making them for so many people, and do my tried and true chocolate chip cookie recipe (sorry, there are a few recipes I am not prepared to part with in case I ever have a bakery or restaurant. Hey, it could happen). I made smaller size chocolate chip cookies, placed four each in small plastic cups I had also left over from my sons birthday (thanks to Sam's Club, I have like 150 leftover), placed them in a goodie bag I got from Michael's, and added a tag that I printed from Sweet Metel Moments. Secured with a twist tie that came with the baggies, and Ta-Da! We have gifts for the staff. 24 to be precise. Thank goodness for the printable, now no one else has to be subjected to my less than aesthetically pleasing writing. I thought they were pretty cute. Now, I just have to figure out how to get them all there. Oh well, one problem at a time. 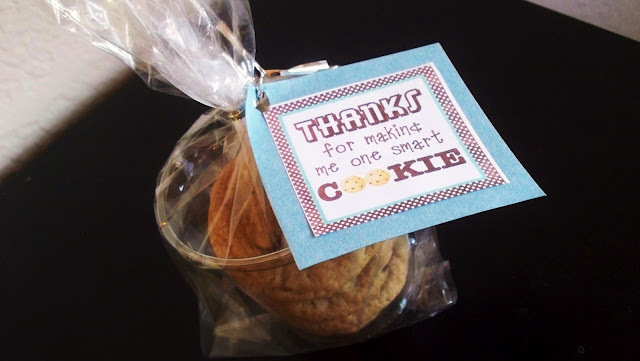 Teacher's put up with a lot of junk, they definitely deserve to be showered with some appreciation. I mean really, could you teach 12 two year olds 5 days a week for a year, and do it with a smile, compassion, and love? I am sorry, but I think those that do are saints. My hat's off to you (because I am so not one of those people!)! Wow, you made a lot of cookies! They look yummy and your gifts are so thoughtful! I'm so glad you were able to use my printable! Thank you so much for sharing the link to my blog. Enjoy the rest of your summer! 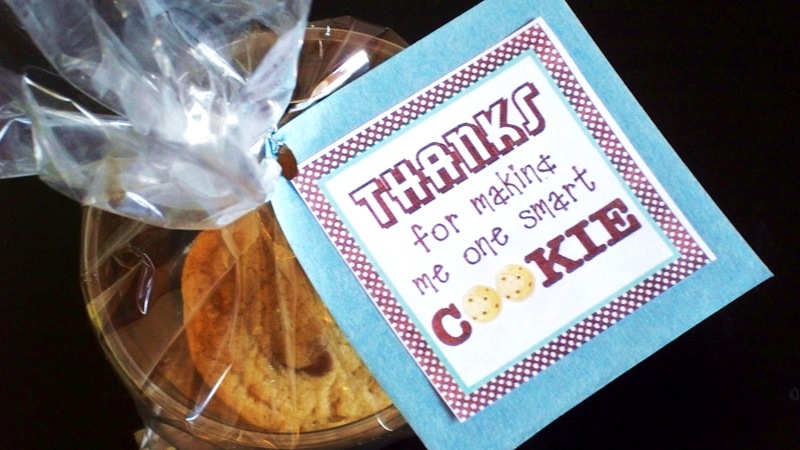 Thank you for sharing your cute printables! !